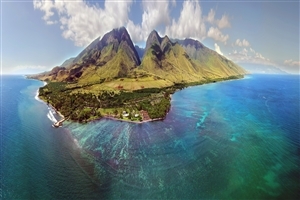 Kick back and enjoy the soothing ambiance of Hawaii as your boutique yacht ferries you between four of the region's most idyllic isles. Spend some time dining with the locals on Molokai, snorkel off the coast of Lanai and venture out to see the sights and sounds around Maui and Hawaii for an unforgettable time in this Oceania paradise. Dine and dance with the Molokai locals with an evening paina and jam session. Pay a visit to the ancient Halawa Valley and discover it's rushing waterfall. 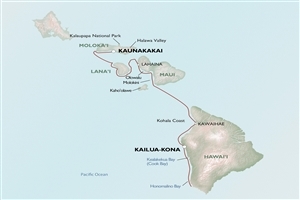 Learn all about the history of the islands at the Lanai Culture and Heritage Center. Swim with giant manta rays as they glide through the evening waters of Honomalino Bay. Keep on the lookout for the dolphins, whales and marine life that call The Humpback National Marine Sanctuary their home. 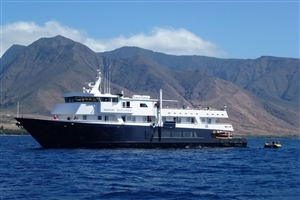 Kick start your adventure with a stay in Molokai where, upon arrival you'll be transferred to the hospitality area before meeting with the Captain and crew of the Safari Explorer yacht. Settle in and enjoy an evening dinner aboard the yacht and listen to a presentation outlining your journey ahead of you. Your first full day in Hawaii gives you the opportunity to get to know the culture and traditions of this gorgeous island nation. Speak to the locals about stories, legends and lore before taking in a cultural lesson in taro patches and poi making or hiking to the waterfall of the historical Halawas Valley. Explore the Molokai Museum and enjoy a paina along with a Hawaiian jam session to round out your evening. The next stop is the private island of Lanai where looming sea cliffs and ancient volcanic plugs make up part of the stunning landscape awaiting you. Take the chance to snorkel, kayak, paddle board and traverse the waters via skiff to get a feel for this mysterious island before heading on for a walk to see the jutting sea stack known as Sweetheart Rock. Your final stop for the day sees you uncovering the history of the island's plantation era at the Lanai Culture and Heritage Center. 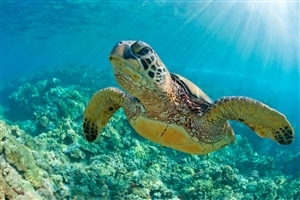 Take the time to snorkel among the colourful coral gardens of Olowalu while keeping your eyes peeled for the turtles that inhabit the waters of the area. Cruise through the waters between Lanai, Maui and Molokai with a visit to The Humpback National Marine Sanctuary in search of the dolphins, whales and marine life that have made these particular areas their breeding grounds. Today the Captain and crew will surprise with an experience of their choosing among the surrounding islands. 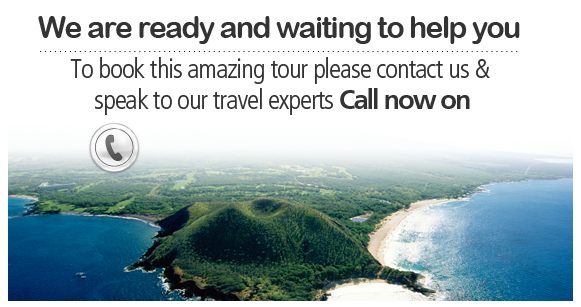 The possibilities range from volcanic viewing, sea life searching, snorkeling, kayaking or paddle-boarding. Explore the palm-fringed sands of Honomalino Bay and spend the morning snorkeling, paddle-boarding or kayaking its colourfully diverse waters. 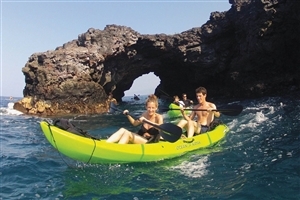 Spend the day on adventures with kayaks, skiffs and lava tubes before anchoring at an offshore location for an evening of snorkeling with giant pacific manta rays. Head on a skiff to Kealakekua Bay to start the day discovering the location of Captain Cook's demise in 1779 and partaking in some of the island's best snorkeling. Take a walk through the historic town of Kailua-Kona and follow it up with an evening of celebration with the Captain, crew and fellow travellers. Your cruise tour comes to an end as the Safari Explorer docks at Kawaihae Harbor where you'll transfer to the Kona Airport or your chosen hotel.